The winners of my poetry contest about choices have been announced by my poet friends who agreed to be judges. Poems by the three award winners and the honorable mention poets will be published in my next anthology with the theme choices. The anthology will be published in late summer of 2015. I have put all the entries in the Contest Archived Page but I need to improve the formatting. Until I do, the poems continue to be on the Contest Page. I will post a new contest in a couple of weeks. Congratulations to the winners. 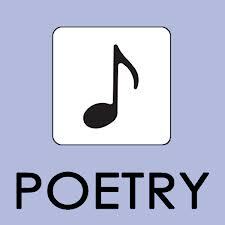 Winners of the Choices Poetry Contest on this blog will be announced in September. Due to vacations this summer, it was difficult for the judges to meet for a consensus. Many quality entries spread the nominated winners by each judge to well over the three place awards. We plan to have honorable mentions included this time. Thanks to writers George Cramer and Camille Thompson for correcting the locations for this weekend. Without George and Camille, I would have gone to the wrong place on Saturday. For those who plan to attend one or both, here is the right info. Saturday is the Las Positas College anthology launch. Sunday is the award ceremony for the high school students who won first, second, and third places in Tri-Valley Writing Club’s writing contest. Maybe there’s a story hidden in the error. What could happen when a protagonist goes to a wrong setting? Saturday, we, the Tri-Valley Writers Club, will be handing out awards to the winners of our high school students’ writing contest. I was on the short story committee and we selected first, second, and third winners. Sunday, I’m invited to join the writers whose stories were selected to be in Las Positas College’s annual anthology. My story, “George W. Did It”, is published. The awards celebration is an enjoyable event, with good food, good art displays, readings by some of the writers, and books available for pick up and purchase. It’s my idea of a grand weekend. A fellow writer and I judged entries to our writing club’s High School Short Story Contest. I was impressed by the writers’ creativity and chosen topics. Organ donation, bullying, suicide, and goals for a better society were some of the issues woven into fiction. We had to compromise in deciding who should win first, second, and third awards. We each chose two different stories, but we both liked one so we chose that story for the first place award. One of my favorites received the second place and one of hers, the third place. I was one of the judges last year and a similar compromise occurred. Although the elements of a good story are taken into consideration, often times, I think judges’ preferences are a large part of the decisions made in the contests we writers enter. I don’t envy their task. It’s not that easy when there are many good entries. From these student samples, this next generation shows a depth of thought and a maturity I don’t remember from Sophomores and Juniors when I was in high school. They gave me hope for the future. We did it! After the two judges of the Western Flash Contest had opposing winners chosen, I took the four submissions to the members of my writing classes to participate in the judging process. The first place winner is Jeremy Milburn for “The East Coast Dandy”. Congratulations, Jeremy. Please email me so we can get your story into my anthology. Second Place Winner is Emily De Falla for “Devil or Angel”. Thank you to all who submitted. Writing a story within 500 words is not an easy task and you all did very well.